The innovative tool for editing genes has set its sights on sickle-cell anemia. Approximately 100,000 people in the US have sickle-cell disease. Most sufferers are African-Americans, but there are also many Latino patients as well as people of Mediterranean, Middle Eastern, Asian, and Southeast Asian descent who have sickle-cell disease. The disease is painful, and shortens the lifespan of sufferers to about 40 to 60 years. Although its cause has been understood for more than a century, patients with sickle-cell have historically been underserved by both the pharmaceutical industry and the medical establishment. However, as CRISPR is changing the face of medicine, it may also be changing this lived reality for people with sickle-cell disease, which is caused by a single mutation that is well-studied, making it an appealing candidate for correction with the gene-editing tool. 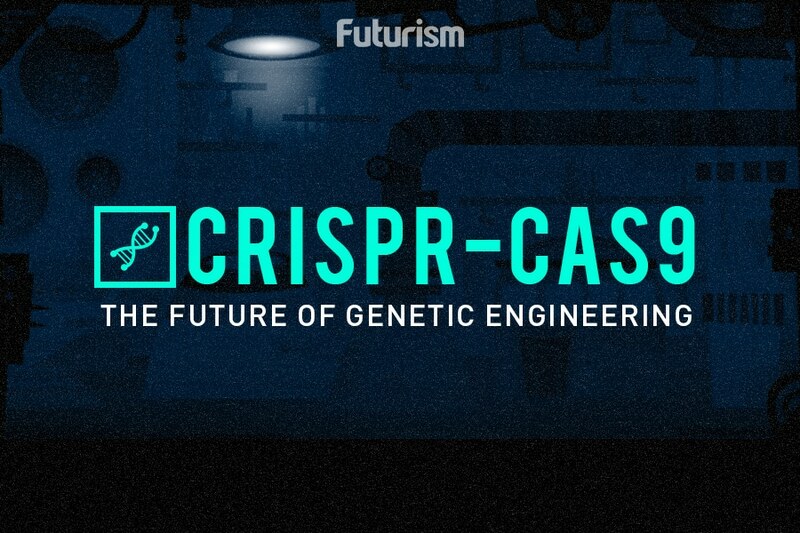 CRISPR works by cutting into a DNA sequence in a specific place and either deleting a sequence or editing it. In the case of sickle-cell disease, the mutation that causes the illness is a single nucleotide: a T where an A should be within the HBB gene, which codes for hemoglobin. 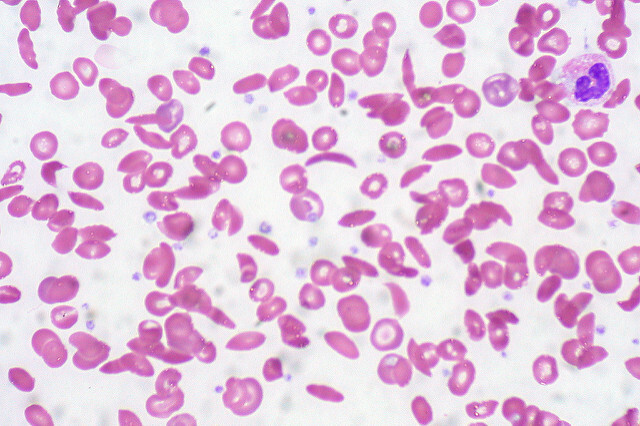 Red blood cells with healthy hemoglobin are the typical disc-shaped red cells seen microscopically, but the mutation causes unhealthy sickle-shaped cells that stick together. Eventually this causes a buildup of cells, blocked blood vessels, and lack of oxygen to different regions in the body along with pain, organ damage, and eventually premature death. This one mutated nucleotide is an easy fix for CRISPR, which can simply cut and edit that nucleotide. Thus far researchers have had great success with CRISPR in mice and on human sickle cells in the lab, making the next step a clinical trial — and maybe a cure. CRISPR as a tool is not free from safety concerns, but many sickle-cell patients are eager to take part in clinical trials. Lab experiments have shown impressive results, with CRISPR successfully editing about 85 percent of stem cells extracted from sickle-cell patients in order to create healthy red blood cells — a great result, given that patients with sickle cells below 30 percent exhibit no symptoms. Once those healthy cells are reintroduced to the body, they go back to the bone marrow where they create more healthy blood cells for the body. The researchers say these healthy blood cells will proliferate because they will outnumber the sickled cells, particularly since they live 4.5 to 12 times longer. Although CRISPR clinical trials have yet to begin in the US, the National Institutes of Health (NIH) is launching a study at the end of August 2017 to explore the opinions people with sickle-cell have about CRISPR technology. If a CRISPR sickle-cell cure does hit the market, access to it will be a defining issue. Ghana-born physician Isaac Odame, who specializes in sickle-cell disease and works at the Hospital for Sick Children in Toronto, told MIT Technology Review that drug costs for hydroxyurea, commonly used to treat the disease, are too expensive for many to afford, even at one to two dollars per day. Scientists and others from all over the world have been meeting and talking about ensuring that people have equal access to CRISPR, although thus far the issue has not passed the discussion stage.